We all want success but at what cost? Paf wonders if entitlement is creeping in to our support? On Sunday morning at 4:30, I sat down to watch the game against Man City, The football City play has been described as scintillating, unstoppable, terrifying and to be honest, I couldn’t see us (or any other premier league team) getting much out of a visit to the Etihad. For their supporters this should be a time of puffing out their chests and loudly proclaiming we are the best in the land, Europe, possibly the world. Why then, up to the point that our defence buggered off for a cup of herbal tea and a quick chat about the existential nature of being a footballer in the modern game, allowing a wandering midfielder to saunter up to the penalty spot and gently nod the ball home, did I only hear the small band of Spurs away support singing out their hearts in what should have been a cauldron of pomp and arrogance? Man City are a proud club, the noisy neighbours, the real Mancunians a team that regularly filled Maine Road with vociferous support whilst languishing in the third tier of the game and yet at the height of their powers, they can barely manage a “blue moon” until the ball nestles safely in the opposition net. Why the hell are you writing something about some Northern monkeys that have nothing to do with the mighty Tottenham Hotspur? I hear you ask. To be honest, I’m worried. I look at the teams that have had regular success in the premier league era and I don’t like what I see. Stamford Bridge was once a terrifying place to go, filled with noise, distaste for rival fans, abuse, banter and the dark shadow of violence clinging to terraces, now the unerring support for their team has been replaced with expectation, “we’re gonna sing when you do something worth singing about”. Old Trafford with its 75,000 plus capacity can be like a Thursday night in Telford unless the team sparkles and entertains the crowd. To be honest, I’m worried. I look at the teams that have had regular success in the premier league era and I don’t like what I see. For so long we have relentlessly mocked the Woolwich Nomads for their lack of atmosphere and their pathetic sense of entitlement, you only have to look at the collection of muppets that regularly appear on Arsenal Fan TV to see what happens when expectation and reality are light years apart. And what about us, here we are in the midst of one of the best eras for football at our beloved club that I have seen in my 40+ years of supporting Tottenham, on the verge of moving into possibly the best stadium in Europe, at times playing football that is just as breathtaking as City played on Saturday. Our away support is second to none, the Tottenham boys are indeed making all the noise and yet when we’re struggling Wembley is like meeting of the aphasia society. Is entitlement creeping in to our support? Are we beginning to refuse to support the team if they are not, for whatever reason, entertaining us? 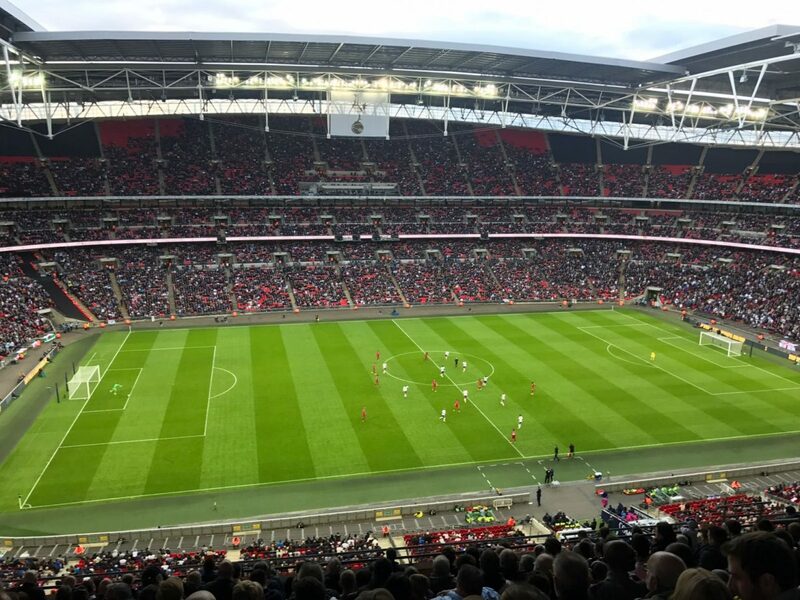 Yes Wembley has it’s issues in terms of atmosphere but if a few thousand Spurs fans can be heard over the rest of the crowd at the Etihad, then surely Wembley itself cannot be the reason for our lack of volume. Is it about new fans? Has the year at Wembley allowed so many more to come and watch home games and without the knowledge of where we’ve come from, that really don’t know how good this is? Would the atmosphere be better if we only allowed people into the ground who had proof that they sang for Jason Dozzell just as heartily as they sing for Mousa Dembele? Is entitlement creeping in to our support? Are we beginning to refuse to support the team if they are not, for whatever reason, entertaining us? I’m not even going to attempt to understand the real reasons behind it all but I am concerned that a sense of entitlement is sneaking in to our fanbase, from the examination of other teams fans that have had regular success it would seem that success and entitlement are inseparable bed fellows and that without something being done our support could easily become as woeful as Man City or, God forbid, the mob from down the road. 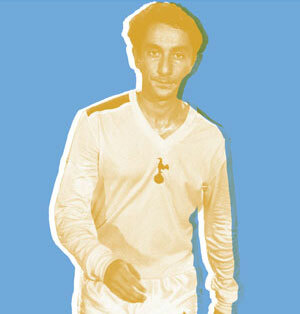 We are not entitled to greatness, if anything Tottenham’s greatest glories comes from beating the odds, 11 heroes in pristine white going into battle with the superior skills of their South London rivals and producing a performance that none of us will ever forget scoring 5 goals and rubbing their smug little noses in it afterwards and, if I have a choice, that is the type of supporter I want to be, one that celebrates the unlikely victories with gusto, one that takes the defeats on the chin, the type that sings ‘lets pretend we scored a goal’ while we are 4-0 down at Anfield, certainly not the type that sits above the halfway line at Wembley, arms firmly folded waiting for the players to do something worthy of my vocal chords. In short if the price of success is the soul of my football club, you can keep it. Check out the best online sports betting odds at 10bet.